In Spain and beyond, Francisco de Goya is a household name. Unlike a typical museum, Goya’s Pantheon is actually a chapel and pantheon that now serves to honour one of Spain’s most famous and prolific painters. 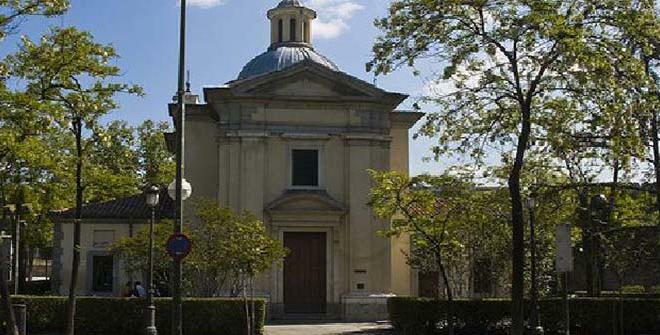 The chapel, formally called La Ermita de San Antonio de la Florida is the resting place for Goya’s remains. 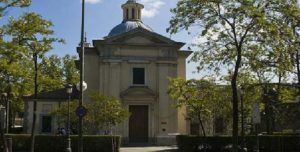 Although Goya died in exile outside of Spain, his remains were brought to this chapel in 1919 to remember his life and work. His tombstone is made of granite with a large marble slab, depicting that he died in Bordeaux, France. Though Goya is buried there, it is actually just his body. His head went missing in the early 1900s to what some people think was a robbery or looting to study Goya’s impressive brain! Inside the chapel there are magnificent frescoes that Goya painted in just 120 days, many years before his death. The frescoes depict the “Miracle of St Anthony” as well as other religious scenes. 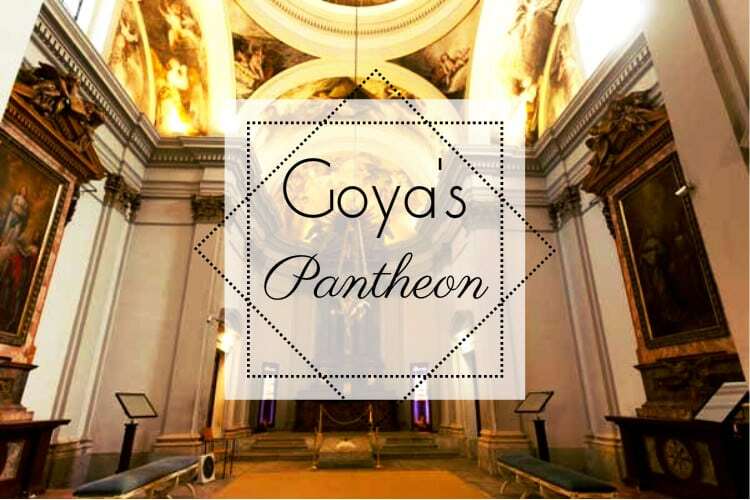 So if you are interested in an unusual museum experience, head to Goya’s Pantheon to pay respects to the famous artist and view his impressive frescoes! You can visit Goya’s Pantheon for FREE Tuesday through Friday from 9:30-20:00, or weekends from 10:00-14:00. The museum is located at Glorieta San Antonio de la Florida 5, right next to the Rio Manzanares.